Tahr is a relatively small, but unusual looking mountain ungulate, distantly related to North American Mountain Goat. In its native range in the Himalayas it is endangered, and opportunities to hunt are strictly limited. However, it is possible to hunt introduced populations of Tahr that exist in other countries. Those include Macedonia and Argentina, but, of course, the go-to destination for a Tahr hunting is New Zealand, what with an abundance of Tahr and other game animals, breathtaking views, opportunities for other outdoor pursuit, and affordable prices. New Zealand offers the most affordable Tahr hunting trips, that start at about $5,000 or so for a basic hunt in areas readily accessible by transport. A longer hunt with helicopter transfer to spike camp will be in the $7,000-$10,000 range. Hunting Tahr in Nepal is most expensive and will set you back $25,000 or more. Hunts in Argentina and Macedonia are somewhere in between. Typically for the ungulates, the rut is the best time to hunt Tahr. In New Zealand it usually occurs from late May to early July. Tahr hunting season in New Zealand is open year round; however, aereal access to some areas could be closed in certain periods. In Nepal Tahr hunting season is open in October-November and March-April. Tahr hunting is as challenging and exciting as any other mountain hunt. Tahr are typically found on higher elevations than most other mountain game. It’s common for them to migrate daily, descending to the alpine meadows to feed, and ascending to the mountain tops to rest and chew cud. Old males often “stand guard” above family groups; they are extremely alert and difficult to approach. Interestingly, in some areas of New Zealand, where Tahr are routinely culled from helicopters, they changed their behavior to seek refuge below, rather than above, the alpine meadow line, making them more difficult to spot. Spot and stalk is the go-to method for Tahr hunting. Whether it is the Himalayas or the mountains of New Zealand that offer the most striking landscapes in the world is debatable. What is undeniable is that both ranges belong to the must-visit places. And the little, vary Tahr is a worthy quarry for any mountain hunter. Tahr hunting in the Himalayas, where due to human encroachment and habitat loss Tahr was once heavily endangered, income from trophy hunting plays an important role in conservation programs. By contrast, in New Zealand, where Tahr were released and, without predators but with appropriate natural conditions, multiplied to astounding numbers, the population must now be seriously controlled to protect the indigenous fauna. Thus, in any country across its range, Tahr hunting has a strong conservation subtext. Himalayan Tahr (Hemitragus jemlahicus) We specialize in Tahr hunting and our guides will look over multiple bulls to find a mature age class bull. A bull grows in body size, horns and cape quality until full maturity around 7-8 years. During the rut Tahr will be in larger group sizes of 15-50 animals, outside of the rut bulls will be alone or in smaller bachelor groups. Tahr rut is May-June We hunt Tahr on both the East and West coast of the Southern Alps. Our wilderness hunts will either use a 4x4 or helicopter to access the hunt area where will set up a tent base camp. Our wilderness hunts are physically demanding and are best suited to hunters with good mountain (sheep and goat) hunting experience. Our hunts are on foot and being in good physical shape will greatly increase your enjoyment and success during the hunt. ALL our hunts are for free range WILD animals and we use helicopters for access ONLY. We run 100% success and our average bull from 2016 was 8 1/2 years old, 12.5 inches. Tahr hunts can be combined with Chamois in our wilderness areas. Tahr and chamois-New Zealand’s alpine residents and masters of the high country. In addition to our world class red stag hunting we offer exceptional foot hunts for Bull Tahr and Chamois. Package includes: - Either one trophy Tahr or Chamois - 4 days 3 night’s accommodation - Guiding - Transfers to and from Blenheim or Christchurch - Field Preparation of trophy - Meals and beverages (beer and wine included) - Firearm Use and ammunition Non-hunting companions welcome at $250 per day. Experience New Zealand’s stunning alpine environment whilst pursuing the agile Tahr or Chamois. 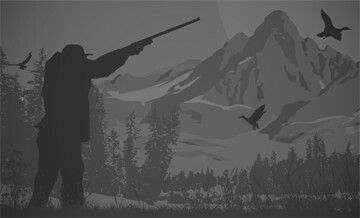 A decent level of fitness will ensure a more enjoyable hunting experience.